The Bund is a famous waterfront and regarded as the symbol of Shanghai for hundreds of years. It is on the west bank of Huangpu River from the Waibaidu Bridge to Nanpu Bridge and winds 1500 meters (0.93 mile) in length. The most famous and attractive sight which is at the west side of the Bund are the 26 various buildings of different architectural styles including Gothic, Baroque, Romanesque, Classicism and the Renaissance. The 1,700-meters (1,859 yards) long flood-control wall, known as 'the lovers' wall', located on the side of Huangpu River from Huangpu Park to Xinkai River and once was the most romantic corner in Shanghai in the last century. Yuyuan Garden is a famous classical garden located in Anren Jie, Shanghai. It was finished in 1577 by a government officer of the Ming Dynasty .Yuyuan Garden occupies an area of 20,000 square meters (about five acres). However, the small size is not a representative of the attractions of the garden. The pavilions, halls, rockeries, ponds and cloisters all have unique characteristics. 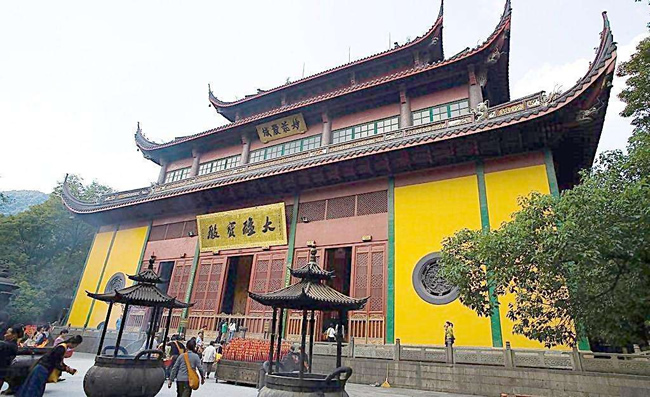 There are six main scenic areas here: Sansui Hall, Wanhua Chamber, Dianchun Hall, Huijing Hall, Yuhua Hall and the Inner Garden. Each area features several scenic spots within its borders. 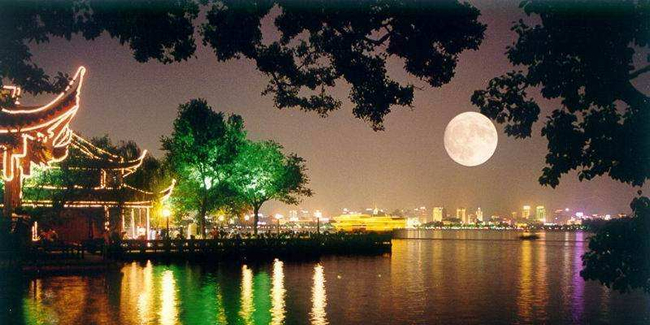 Hangzhou is the capital of Zhejiang province and its political, economic and cultural center, with Shanghai to the west of 20 minutes by High Speed Rail. West Lake is a freshwater lake located in the historic area of Hangzhou.It has influenced poets and painters throughout the ages for its natural beauty and historical relics, and it has been among the most important sources of inspiration for Chinese garden designers, as evidenced by the impact it had on various Chinese classical gardens. Lingyin Temple is a Buddhist temple of the Chan sect located north-west of Hangzhou.It is one of the largest and wealthiest Buddhist temples in China, and contains numerous pagodas and Budddhist grottoes.The monastery is the largest of several temples in the Wulin Mountains,which also features a large number of grottos and religious rock carvings, the most famous of which is the Feilai Feng. Suzhou is located in the center of the Yangtze Delta, in the south of Jiangsu Province, with Shanghai to the east of 20 minutes by the High Speed Rail or of 1 hour by car. The Humble Administrator's Garden (simplified Chinese: 拙政园) is a renowned Chinese garden in Suzhou. 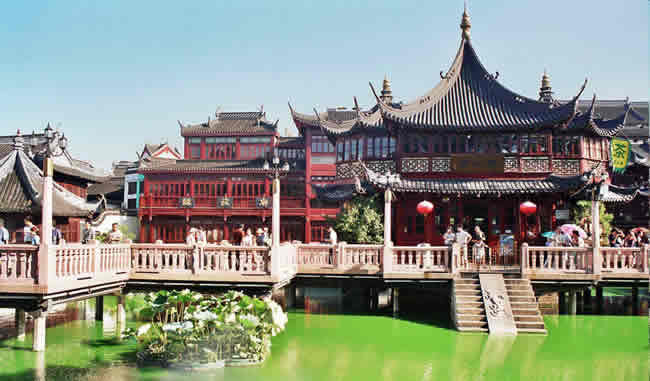 It is the largest garden in Suzhou and is considered by some to be the finest garden in all of southern China. The garden contains numerous pavilions and bridges set among a maze of connected pools and islands.In total, the garden contains 48 different buildings with 101 tablets, 40 stelae, 21 precious old trees, and over 700 Suzhou-style penjing/penzai. Zhouzhuang is a town in Jiangsu province, 30 km southeast of Suzhou,and it is one of the most famous water townships in China, noted for its profound cultural background, the well preserved ancient residential houses and the elegant watery views. It has been called the "Venice of the East "
Reservations can be made on-site at the tour reservation desk on conference venue.